ISLAMABAD: The government is considering to ban exports of onion and tomato to end sharp increases in their prices. Sources told Dawn on Tuesday that a formal decision to impose the ban for a few weeks was expected to be taken at a meeting of the Economic Coordination Committee of the cabinet to be presided over by Finance Minister Ishaq Dar on Wednesday. The ECC is also expected to approve a transaction advisory services agreement with the Asian Development Bank (ADB) for the Turkmenistan-Afghanistan-Pakistan-India (TAPI) gas pipeline project and order an energy efficiency audit of captive power plants and boilers for natural gas allocation. The price of tomato has jumped to over Rs120 per kg from Rs80 because of late arrival from Sindh and Punjab and restricted supplies from India through Wagah land route. Tomato produced only in Khyber Pakhtunkhwa is available in the market, but most of the crop is making its way out of the country. 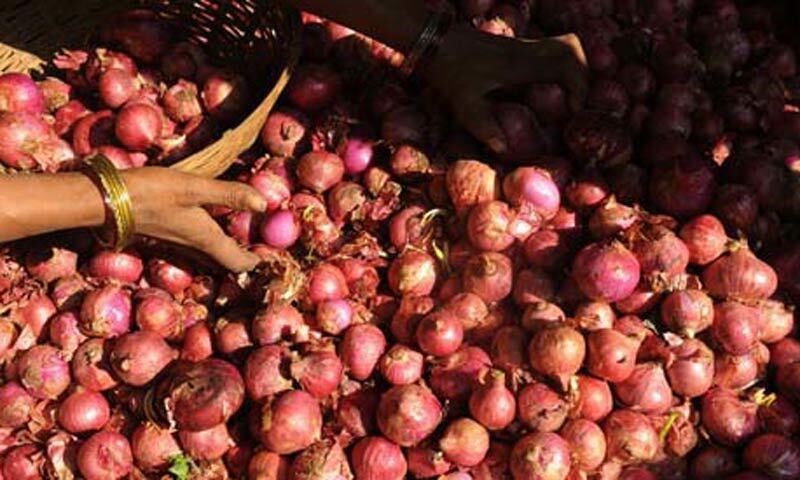 The price of onion has also risen by 15-20 per cent. The unusual increase in prices of vegetables not only echoed in the Supreme Court but also came under discussion in the National Assembly on Tuesday. Leader of the Opposition Khursheed Ahmad Shah complained about the shortage of vegetables and their high prices in Sindh, particularly Hyderabad and adjoining areas. A federal minister told Dawn that the proposal to ban the export of vegetables had also come under discussion at a previous ECC meeting, but no decision was taken because of divergent views over the interest of growers and associated political angle. He said consumers in Sindh and Punjab were particularly suffering because of late arrival of crop in the market, but it was a rare opportunity for growers in the conflict-affected Khyber Pakhtunkhwa to earn higher return on their cash crops. Since the Pakistan Tehreek-i-Insaf is ruling the province, he added, it could become a political issue and, therefore, the federal government would have to create a balance between the interest of growers and consumers. The problem can be solved only through a time-bound ban on exports. The minister said vegetables from Sindh and Punjab would start arriving in the market later this month which would ease pressure on retail prices, adding that a stopgap arrangement was required to provide relief to the consumers. An official said the petroleum ministry had requested the ECC to approve the transaction advisory services agreement with the ADB for the TAPI pipeline to kick-start the process for project structuring and financing arrangements. Turkmenistan, Afghanistan and India have already cleared the appointment of ADB as project adviser and it requires a go-ahead from Pakistan to formalise the agreement. The ADB has already been advising the participating nations on the $7.5 billion trans-boundary pipeline project and is likely to be its lead financier under its regional energy cooperation initiative. The ECC is also expected to approve a concessionary gas sale price for Engro Fertiliser Limited in accordance with its gas sale agreement with Sui Northern Gas Pipelines Limited. It will also take up the issue of transfer of Engro Corporation�s investment in Engro Foods Netherlands B.V. to Engro Foods Pakistan at the request of the finance ministry. The ECC would be briefed on the latest economic indicators, incidental charges on import of urea and portfolio investment in the country.